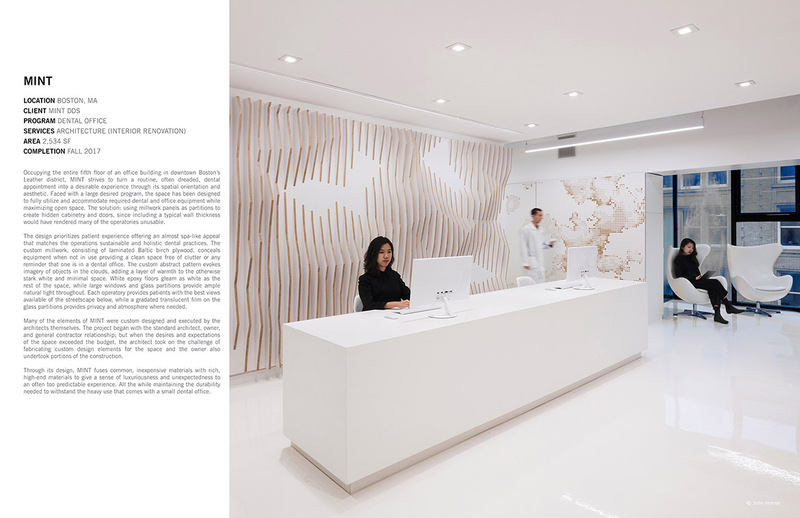 Jury comments: MINT rethinks the dentist office, punctuating a cool, white palette with millwork that adds texture and pattern to an otherwise stark space. 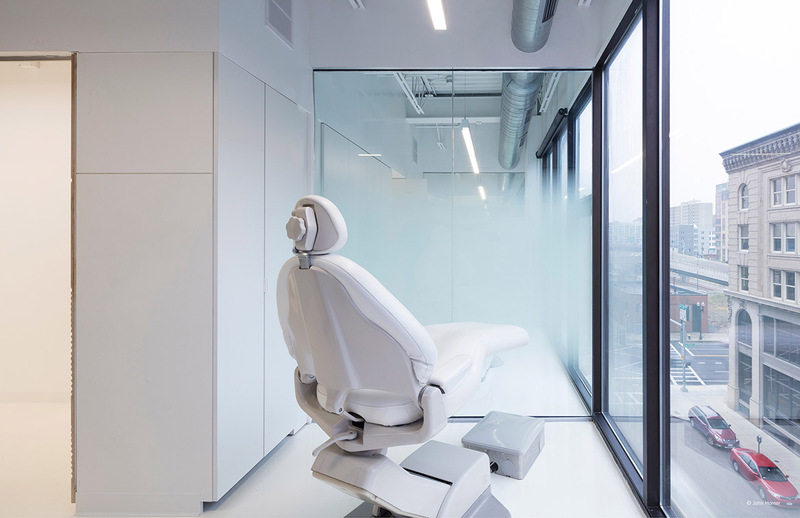 These articulated surfaces are great to look at while smartly concealing equipment and supplies, clearing the space of visual clutter. The jury applauds both architect and client for shirking norms and making something terrific out of a project type not known for excellent design.